Instead of ‘finding your rhythm’ 5 or 6 holes into your round, you’ll be able to swing much more fluidly, and more powerfully, from the 1st tee. They warm up incorrectly, potentially doing more harm than good. In this article, I’ll quickly cover why I believe it’s absolutely well worth a few minutes of your time to warm up and some right and wrong ways to physically prepare your body. 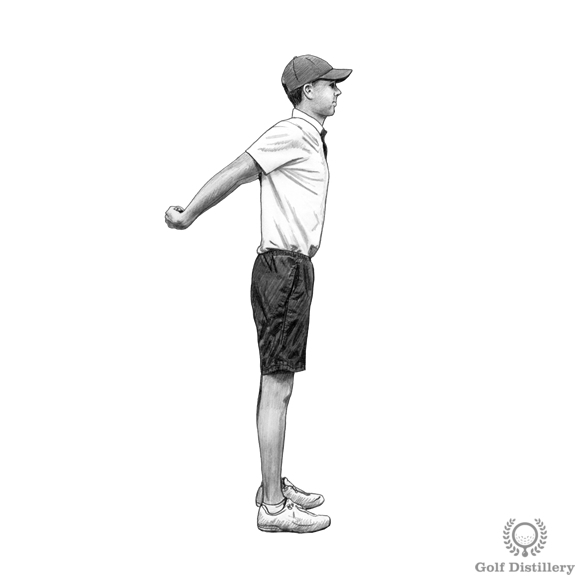 We’ll finish with some sample golf warm up exercises and a routine you can use before your next game. Ask a typical amateur golfer why warming up is important and they’ll probably tell you something about preventing injury. Those golfers that warmed up compared those that didn’t, made significantly straighter swing paths AND hit more shots out the middle of the club. 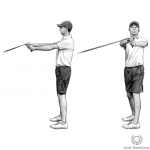 Now, in an ideal world we’d all love to spend an hour on the practice range loosening up and grooving our swing before teeing off – just as top pros do. But you can achieve the same results with a series of exercises that take no longer than 10 minutes. If you want to get your round off to the best possible start, make time (just a short amount) to warm up properly. There’s nothing wrong with this – they’re a suitable part of a good warm up routine. 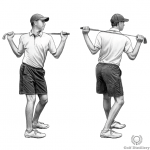 But there are some traditional warm up exercises that you want to avoid…For most club golfers, their pre-round warm up consists of a few more practice swings than normal on the first tee. The really conscientious players might even swing with 2 clubs! Traditional stretching (known as ‘static’ stretching) just prior to playing golf can actually impair your golf swing [2,3]. 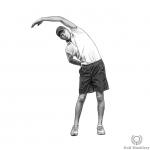 Stretching can lower your swing speed, it can reduce the accuracy of your shots and it can worsen your ball striking. You might find this surprising because for years stretching was synonymous with warming up. But there’s quite a lot of scientific research to support this – not just in golf but a variety of sports. Most coaches today tell their athletes to avoid static stretching before competition and you should avoid it before playing golf. Side note There’s very little evidence to show that stretching before physical activity reduces any risk of injury . 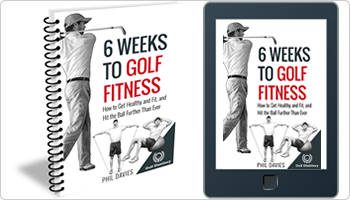 Staying fit and healthy is more a result of what you do away from the golf course. 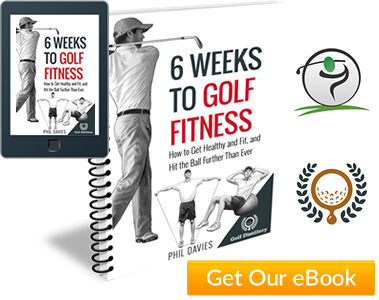 Consider following a suitable golf strength program and golf flexibility program to keep yourself golf-fit all year round. Typically held for 15-30 seconds. 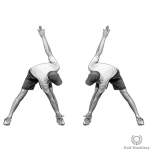 Stretch occurs briefly at the end of each movement. 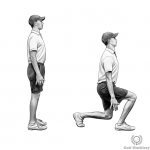 Dynamic stretches make excellent golf warm up exercises. 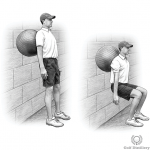 They reduce muscle tightness (which may well help to prevent injuries like muscle tears) and they allow you to make those faster, more powerful and more accurate golf swings . I’ve designed the warm up routine below so that it’s practical as well as effective. You can perform it on the practice ground or in the locker room (if you’re indoors, remove your spikes for safety reasons). 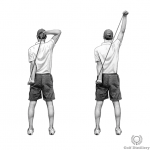 If you’re tee off time is early in the morning I recommend you perform this routine once at home, before you leave for the golf course and then a second time 10-15 minutes before you’re due to tee off. For later tee off times, just complete the routine once, at the course. Complete the series of exercises above in order the order set out. Complete this series twice i.e. 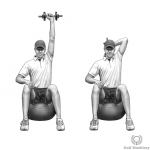 after completing the 8 exercises, start again at #1. Finish with 5-10 weighted golf swings (place 2 clubs together). Try to time this routine so you finish no more than 10-15 minutes before teeing off. Int J Sports Med. 2009 Feb; 30(2):113-8. Epub 2009 Jan 28. J Strength Cond Res. 2009 May; 23(3):863-7. J Strength Cond Res. 2010 Dec; 24(12):3326-33. Scand J Med Sci Sports. 2010 Apr; 20(2):169-81. Epub 2009 Dec 18.